This is part three of a four part series about pay requirements. In this series we are exploring the pay requirements of employers and what can happen if those requirements and regulations are not met. You can read part one here and part two here. In this part we dive deeper into the intricacies of paying employees, which includes itemization of employees’ wage statements; standard deductions; and the final pay requirements for different types of workers depending on how they leave the company. Employers should have a thorough understanding of everything that goes into and out of their employees’ paychecks. There can be costly penalties and possible litigation for paycheck errors, and the longer they go unnoticed the more expensive they may be to fix. California employers should pay careful attention to their payroll, as there are specific requirements from the state in addition to the federal ones. Below are the two most important aspects of employee paychecks, as well as the requirements for each. Wage statements are simply itemized written statements that are provided to employees alongside their paycheck. For employees who are paid with a physical paycheck, the wage statement is typically a detachable pay stub attached to that check. 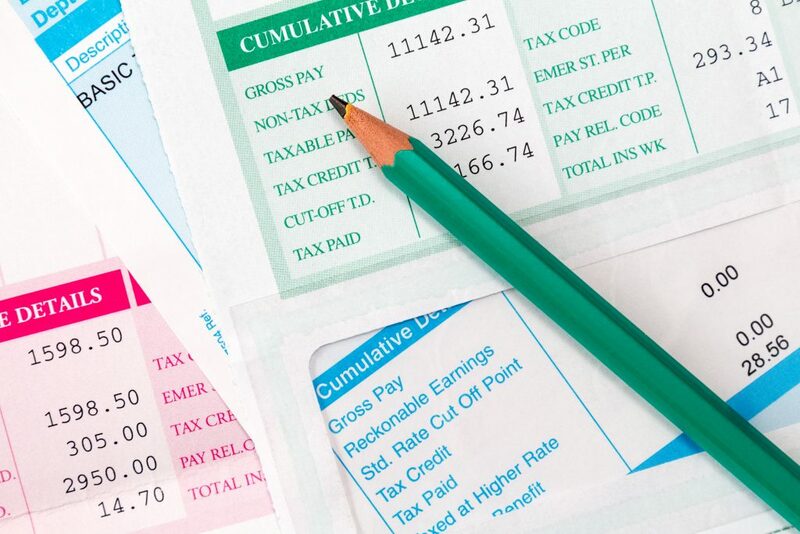 For employees paid by direct deposit, the wage statement typically comes in the form of a detachable pay stub with a voided copy of the paycheck or is available electronically through a Human Resources Information System. Gross wages earned in the pay period. Net wages earned in the pay period. The inclusive dates of the pay period, which are the start and end dates of the pay period. The employee’s name and the last four digits of the employee’s Social Security number or their employee identification number. The full name and address of the legal entity that is the employer. Any and all applicable hourly rates in effect during the written pay period as well as the corresponding number of hours worked at each hourly rate. Deductions that are required of the employer by federal or state law, such as income taxes or garnishments. When an employee leaves a company, they are entitled to receive their final paycheck within a certain amount of time. The exact requirements for final pay will depend on how they leave and how much notice is given. Employers cannot withhold an employee’s final paycheck for any reason. In California, if an employer misses the final pay deadline, the employee is entitled to additional compensation in the form of a waiting time penalty of one day's pay for each day the employer is late, up to 30 days. Termination, Layoffs or Seasonal Employment: In all three of these scenarios, the employer will know that the employee is leaving before the employee does, so the employer should be prepared for the final day of employment. On the employee’s final day in the workplace, they are entitled to a check that includes all wages and accrued PTO that are earned but unpaid. Resignation or Retirement, More Than 72 Hours of Notice: If the employee is resigning or retiring, they should ideally give the employer notice at least two weeks prior to their last day. As long as the employer has had more than 72 hours of notice from the employee, they are required to provide all wages and accrued PTO that are earned but unpaid in the form of a check on the employee’s final day of work. Resignation or Retirement, Less Than 72 Hours of Notice: In some cases an employee may walk off the job or may have to retire unexpectedly. In either of these cases, the employer does not have adequate time to prepare the final paycheck. For these situations, California law requires employers to provide final paychecks (including all wages and accrued PTO that are earned but unpaid) to the employees within 72 hours of the final day of employment.